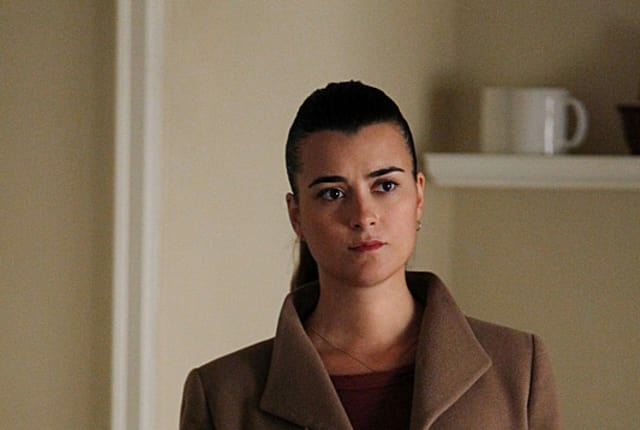 Watch NCIS Season 10 Episode 20 online via TV Fanatic with over 7 options to watch the NCIS S10E20 full episode. Affiliates with free and paid streaming include Amazon, iTunes, Vudu, YouTube Purchase, Google Play, CBS All Access, and CBS All Access (Via Amazon Prime). When a Navy reservist returns home to find her husband missing and her living room covered in blood, she turns to the NCIS team to bring him home. Ziva: It's not about a choice it's about survival. She will not stop until she gets her closure. Tony: We still talking about the lieutenant? Ziva: Please do not go there. I'm fine. Ziva : I would like your permission to travel to Europe to find Bodnar. I have been trying to locate him with the help of McGee and various contacts. Gibbs: You needed to be ready to tell me. He's in Rome. Ziva: That's what I thought too. Gibbs: What are you waiting for? Take DiNozzo. Go. NCIS Round Table: "Chasing Ghosts"
NCIS Sneak Peek: Thai Food and Beer?